As a Multi-User Plan Administrator, you can send unlimited eCards, invitations and surveys from your own account. You can also manage users and their options, customize the CorpNote website to seamlessly work with your other marketing material and share content with your users. This tutorial is an overview of all the options available to multi-user plan administrators. Click on any link within this tutorial to get more information on a specific feature. If you block your users from uploading their own designs and block CorpNote eCard designs, your users will only have access to the uploaded card designs and/or the card templates that you share with them. As an administrator, you can share your own eCard/invitation designs with your users which, in combination with their own, can essentially give each of your users access to a total of 200 custom eCard designs. You can share your uploaded eCard/invitation designs with select users in your account or with all of your users. Refer to the Share Uploaded eCard and Invitation Designs tutorial for more information. Templates make it easy to ensure consistency in your user's communication and, as an administrator, you can share an unlimited number of eCard templates with any of your users. This includes the ability to share QuickSend templates as well. thumb_up Tip: If you blocked a user from using CorpNote eCards, you can still give them access to a specific CorpNote eCard design by creating a template with that design and sharing it with that user. The templates you share with your users are also available when they create a recurring eCard series. When selecting templates, they can select the option to view "admin templates." 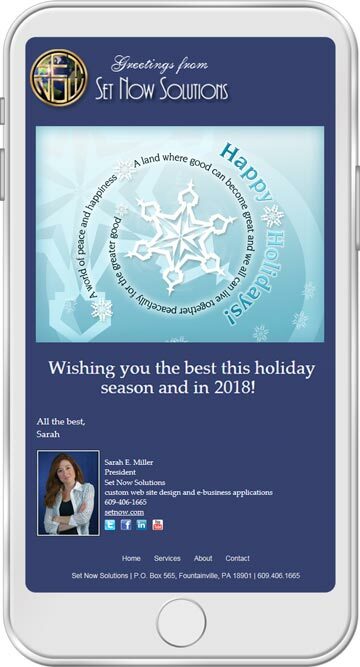 If there are a lot of templates, they can select to see only templates within a specific category such as "Holiday eCards" which you defined when creating the template. thumb_up Tip: When your users create a recurring eCard series, they can easily combine their own templates with the templates you have shared with them. The contacts you add to your address book can only be seen by and managed by you. Conversely, your users manage their own contacts in their private address book. You do not have access to their contacts and vice versa. Your users will see your contact information when they sign into their account and go to My Account > Billing and Password. If they need to cancel or reactivate their account, they are instructed to contact you - their plan administrator. From within the billing area, you can change your credit card information, view your member usage and print invoices. Refer to the administrator billing tutorial for more information. You do not have access to your users' password information and cannot sign into their account. If they forget their password, they can use the forgot password feature on our site or call CorpNote technical support at 609-406-1665.